HMAS Collins arrives at Station Pier, St Kilda, Melbourne. Image via Commonwealth of Australia, Department of Defence. The Royal Australian Navy Collins Class submarines will receive an updated integrated ship control, management and monitoring system (ISCMMS), courtesy of Saab. The $24.2 million contract, awarded to Saab by ASC, will support around 50 jobs, the majority of which are in Adelaide. Defence Industry Minister Christopher Pyne congratulated Saab on securing the contract, saying the work will be crucial in providing Australia's Navy with leading-edge technology. "Technological developments keep Australia at the forefront of Defence capability, help keep our personnel safe and ensure they have the right equipment to carry out their duties in the defence of the nation," Minister Pyne said. Saab’s ISCMMS enables the Collins Class submarines to manoeuvre; and fully integrates the management of propulsion, trim, power generation and ship services. Phase one of the project saw the updated ISCMMS software and hardware developed by Saab and integrated into HMAS Collins by ASC, with HMAS Waller scheduled for later this year. The system will be integrated into the remaining four submarines in 2019 as they undergo their routine maintenance cycles. ASC Managing Director and Chief Executive Officer Stuart Whiley said, "this project demonstrates the high level of local industry content and collaboration in supporting Australia’s sovereign submarine capability, the Collins Class fleet." 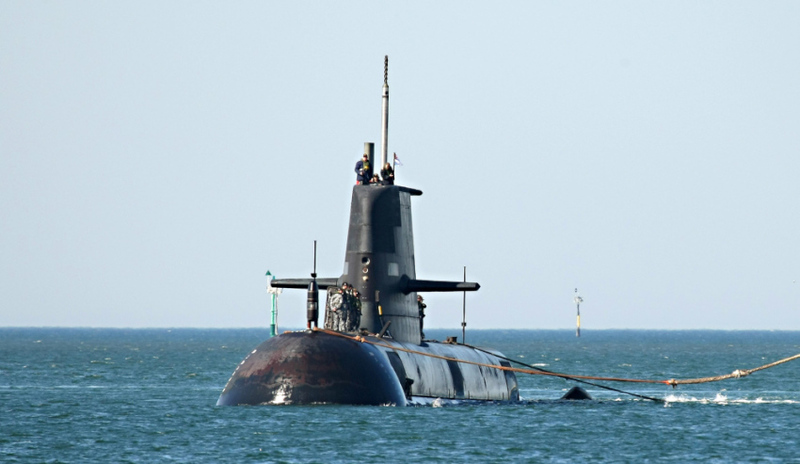 "ASC built the Collins Class submarine fleet and is responsible for sustaining and upgrading the submarines. We look forward to working closely with Saab to complete the second phase of this major upgrade program." This latest announcement comes days after Saab Australia, which employs almost 400 Australians, confirmed it had reached an agreement with the Australian government to continue its sustainment work for the Australian Navy’s Anzac Class frigates. The agreement is a five-year follow-on program of the ongoing framework sustainment agreement that covers the Anzac Class frigates, shore support and training facilities through the remaining life of the capability.